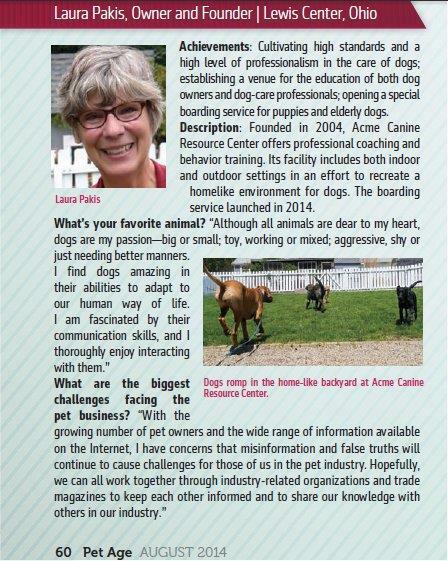 A month ago, Acme Canine’s owner and founder, Laura Pakis, delved into a new type of training: chickens. It may seem like a cockeyed leap from canine to poultry, but its all part of a larger approach and philosophy. “Chickens are similar to dolphins and whales in that they don’t find praise or petting a reward, so food is needed to achieve results when training them,” Laura noted. This is why clicker training is a great technique for chickens. “Clicker training is based on scientific techniques used in controlled laboratory conditions,” Laura commented. 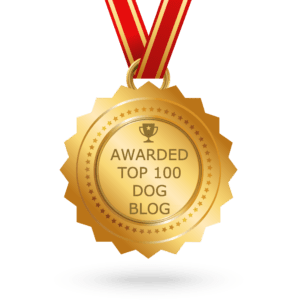 She believes dogs tend to develop better relationships with their owners if trained using every day situations with shaping, praise, motivation, and consequences. “I don’t know why we would want to substitute food for our praise as a reward with dogs,” Laura questioned, “Dogs thrive on our love and petting.” By training a dog to control itself while exposed to distraction, the dog becomes more reliable and self-confident under the stresses of real life. Food-based training does not usually go this far in creating a well-balanced dog. For more information contact your favorite Columbus dog trainer at 740-548-1717 or training@acmecanine.com. This entry was posted in The History of Acme Canine and tagged Acme Hot Dog, canine obedience, canine training center, chicken camp, clicker training, Columbus dog, Columbus dog trainer, columbus dog training, dog behavior, dog training columbus, Narnia Pets, Terry Ryan, training dogs. Bookmark the permalink.